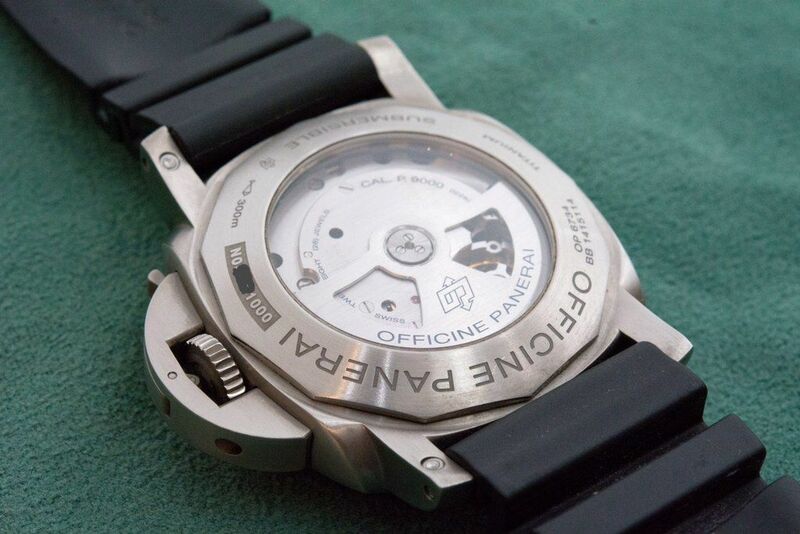 I picked this up recently and have my eye on a different Panerai, if I can not sell this one soon enough to purchase the other one I will be removing this from the market. 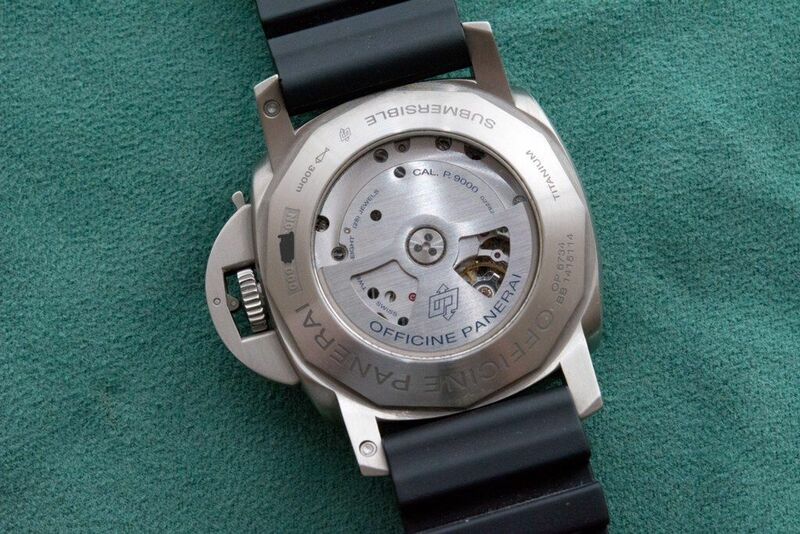 N series watch, I'd estimated it at 90% condition. 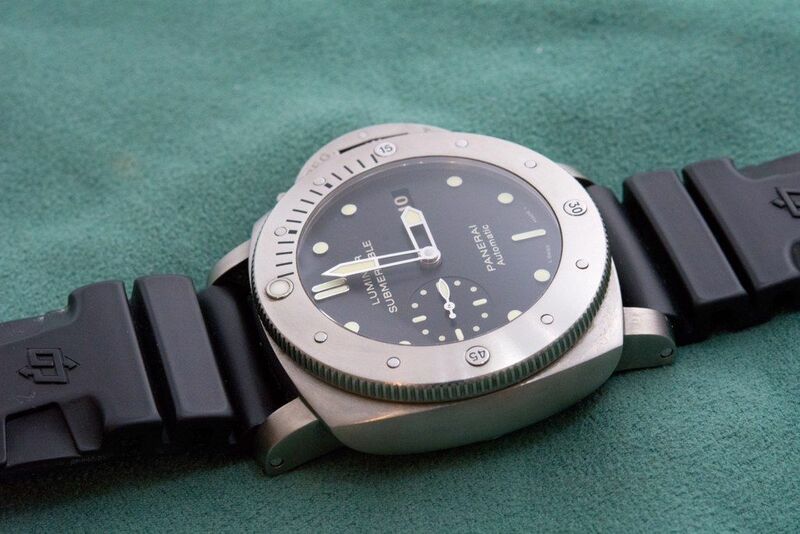 Titanium watches always seem to show more superficial marks that steel, in my opinion. There is a small strike that can be seen on the crown guard by the T. But the light needs to hit it right to be visible. 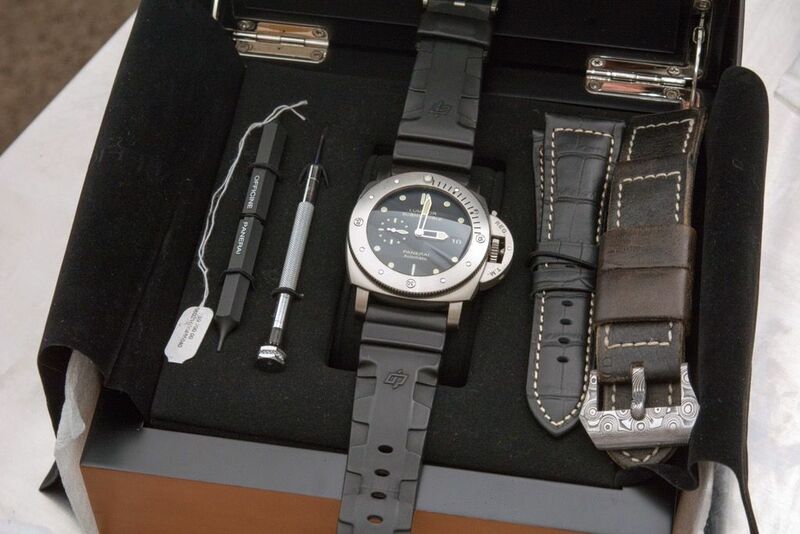 Includes the boxes, paperwork, rubber strap, un-used Panerai OEM black alligator strap, tools, etc. I want to keep the GSD grey leather strap and the SNMetalworks damascus buckle, but those can be added into the deal for an additional fee. $5600 + 50% of shipping and insurance. Feel free to contact me to discuss payment methods that protect both of us. I do travel often for business in the western US, I would consider a FTF deal assuming we can work out all the detail before hand and I have business in the area.